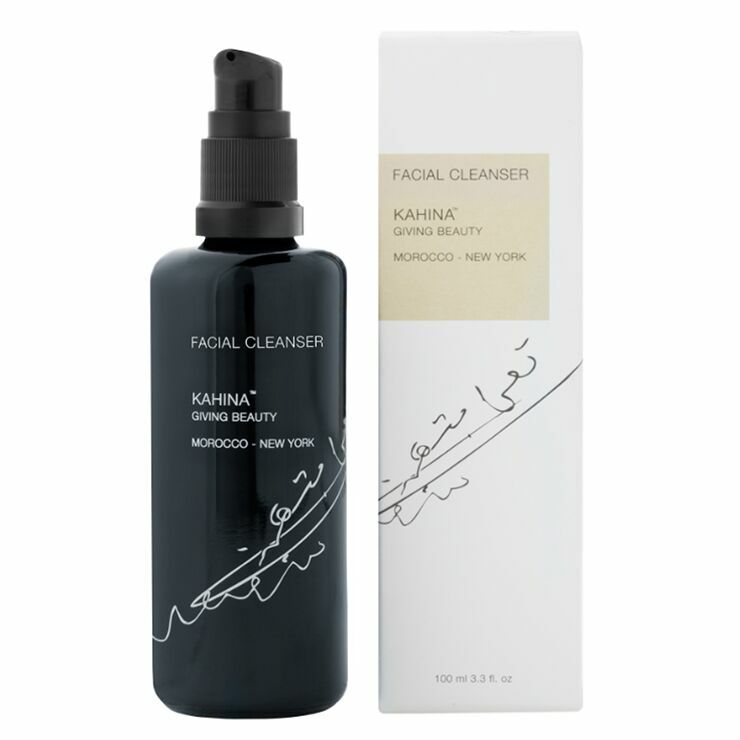 Facial Cleanser by Kahina Giving Beauty offers a luxurious feeling cleanse that's naturally scented with orange and blue chamomile extracts. Hydrating aloe vera is coupled with white willow bark and papaya extract to give skin a gently toned, smoothed, and replenished feel, while leaving the skin's appearance brighter. High concentrations of Vitamin E and fatty acids from argan oil provide a nourishing feel. With a lotion-like consistency, it makes skin feel purified without causing signs of dryness. As an added bonus, it works wonderfully as a pre-shave for men. Apply 2-3 pumps of onto fingertips, rub together and massage onto damp skin. 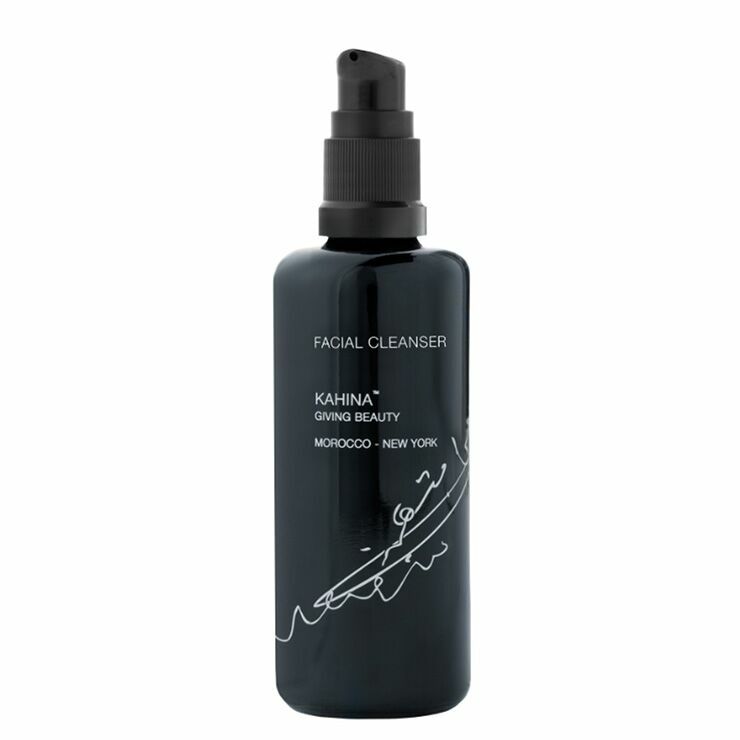 Gently pass over eye area to cleanse away eye makeup if needed. Add water and continue to massage gently. Rinse thoroughly with warm to cool water.